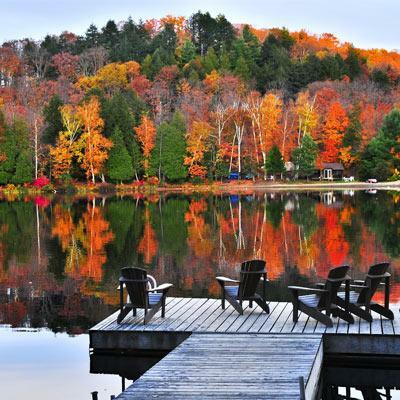 Discover the Beauty of New York Fall Foliage! Autumn and leaf peeping season is HERE.. that means it's time to begin enjoying the wondrous colors of the leaves as they burst into vivid yellows, oranges and reds. So pack your car and take a trip to beautiful Upstate New York. Start with the the Adirondacks, with plenty of great villages including Lake George and Lake Placid. With its many lodging options, restaurants, popular fall events, and breathtaking scenery, the Adirondacks will surely rejuvenate and inspire! Peak times for an Upstate New York fall foliage tour generally occur between the last week in September until the third week in October. What are you waiting for? Start making plans to take time away from your overscheduled life. Come and experience Mother Nature once again as she explodes with awe-inspiring beauty this fall!